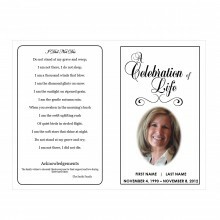 Making funeral programs extra special to honor a woman that you will always remember and love is easy with the 4-Page Graduated Floral 7 Funeral Program Template. 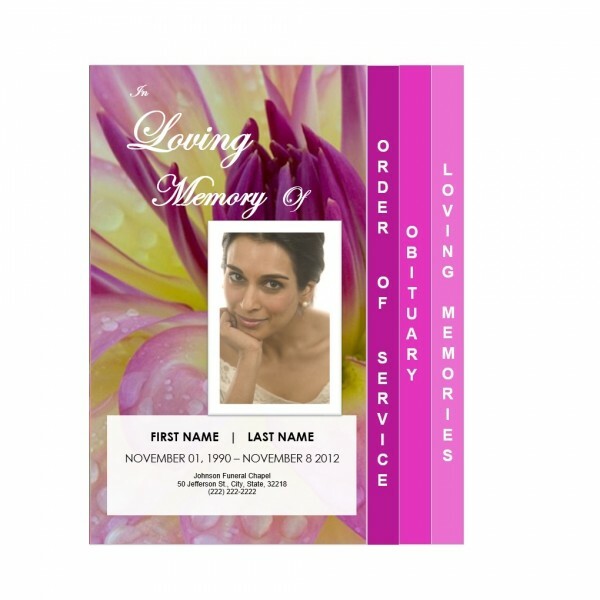 This elegant obituary program template design features a close up of a flower on the front cover and is alive with tones of purple and yellow. 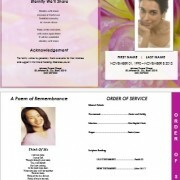 The photographic image is so detailed that you can actually see drops of dew on the petals. 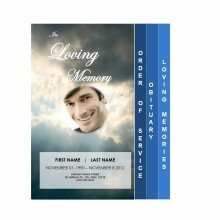 A rectangular box in white is included for displaying a photograph of your loved one on the cover of the funeral service program template. 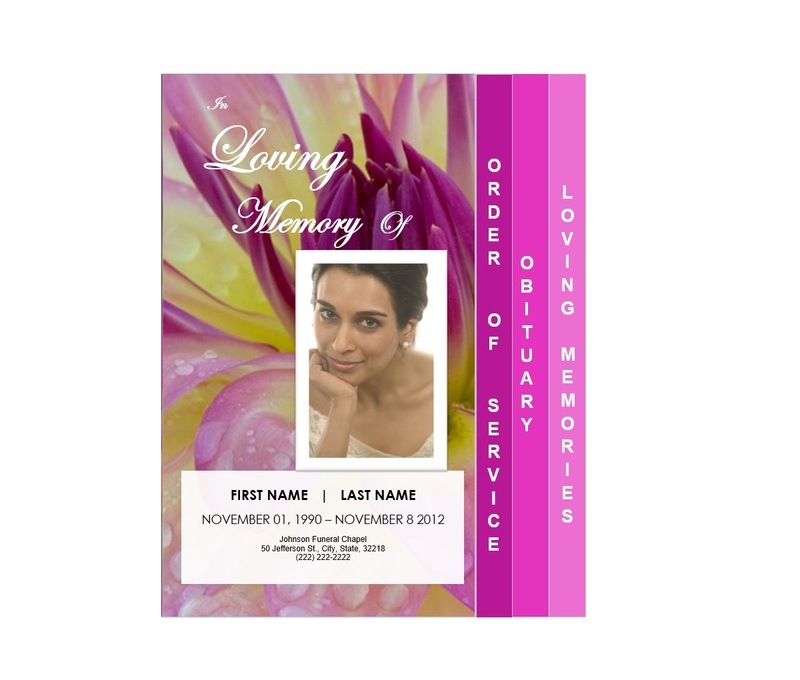 As one of our graduated Funeral Program Templates with a four page design, the 4-Page Graduated Floral 7 memorial program template has tabs on the sides that are visible even when the funeral programs are closed. 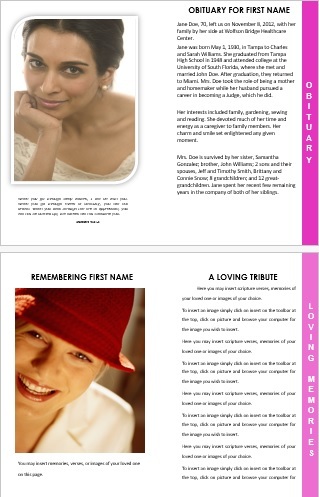 Attendees at the funeral or memorial service can turn to a section using the pink markers on the sides of the programs. 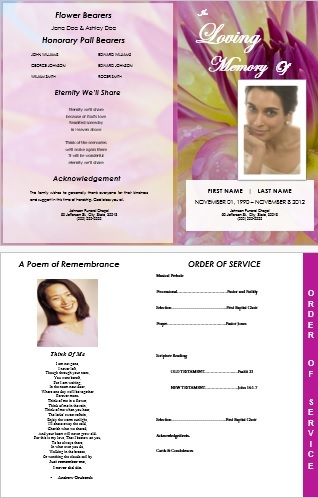 The first page of the memorial service program template is where the order of service is placed. 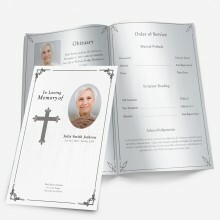 The obituary template appears on the second page, and the final page is used to share memories of your loved one. 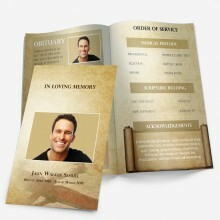 Photographs can be added to each of the interior pages.